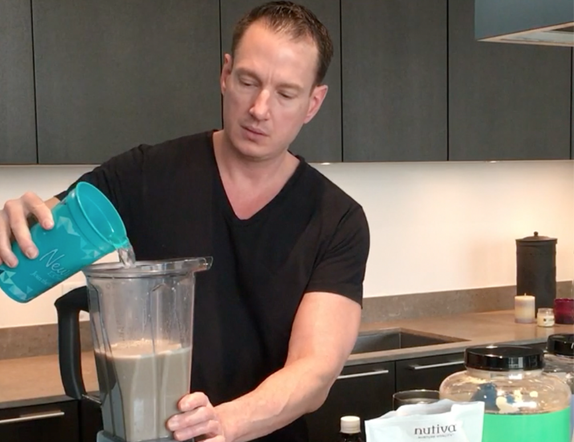 Neurology Solutions Movement Disorders Center Medical Director Robert Izor, MD, MS, has created a short video demonstrating how to prepare a protein shake, including detailed step-by-step instructions, ingredients and serving recommendations. A neurology clinic based in Austin, Texas, that focuses on the care and treatment of movement disorders, Neurology Solutions recommends a nutritional approach to treating neurodegenerative disease. Dr. Izor recommends his patients increase their intake of protein as well as Omega-3 fats and healthy amino acids. His practice’s comprehensive disease management approach incorporates diet, medication and supplemental nutrition as well as additional therapies as needed, including physical and occupational therapy. The practice also oversees patients utilizing advanced treatments for neurological disorders, such as Botox therapy, baclofen pump therapy and deep brain stimulation (DBS) therapy. When managing a chronic condition, your doctor is likely to recommend nutritional supplements in the form of snacks, drinks (such as Ensure or Boost), or vitamins to eat between meals to help you increase your calories and get the right amount of nutrients every day. One easy way to ensure you are receiving important vitamins and essential nutrients in your diet is by supplementing with protein shakes that are packed with protein, amino acids and antioxidants. Most Americans are deficient in protein. Neurology Solutions recommends women have at least 80-100 grams of protein daily, and men consume 100-120 grams daily. Protein helps boost your metabolism and also helps with depression, anxiety, attention and cognitive function. Keep track of your total protein consumed daily. Sulfur amino acids help your body’s metabolism by assisting in producing Glutathione. Glutathione assists the body in making neurotransmitters and with methylation, the process that helps to rid the body of toxins. Omega-3s help reduce inflammation within the body. A diet rich in Omega-3s and healthy fats is recommended by health experts, including the American Heart Association and U.S.D.A. guidelines. Success making this drink correctly helps improve compliance. The recipe uses purified water, Stevia as a sweetener, Mexican vanilla, ground cinnamon, chia seeds and a Pea Protein product, Naked Pea (or Milk Whey as an alternative). Chia seeds, which are high in Omega-3 fats and fiber, must be pulverized in order for your body to process them correctly and obtain the benefits. Pea protein contains high levels of sulfur amino acids. This recipe uses a 72-oz. high-power Vitamix blender and makes four to five servings of protein shake. Each serving contains approximately 50 grams of protein. Each serving should contain approximately 15-16 oz. of shake mixture. The shake can be served on its own over ice; blend with additional water to your preference. Another option is to add cold-brewed coffee, regular coffee or flavored tea to the shake mixture and serve over ice. Pour 15 – 16 oz. of protein shake into a 32-oz. cup and add 4 oz. of cold brewed coffee concentrate or add 6-8 oz. regular coffee or 8-10 oz. flavored tea, plus water and ice, and stir.